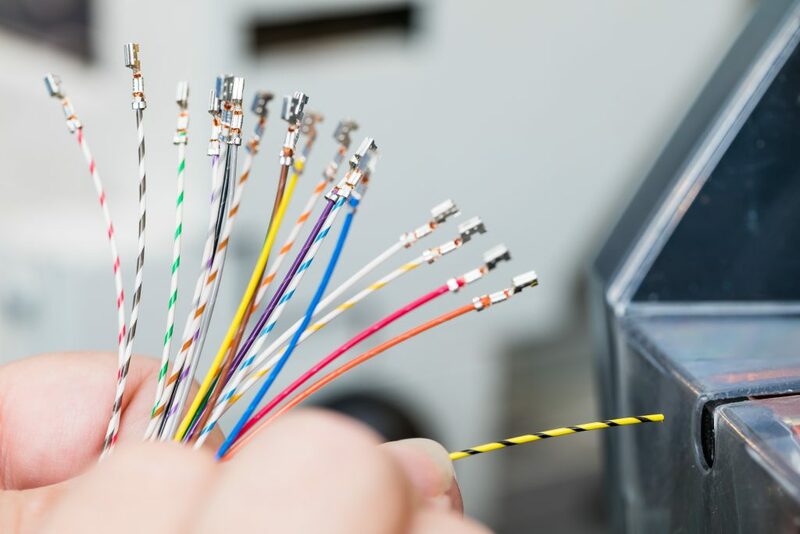 We assemble ready-to-connect cables, connectors and cable harnesses customised to your individual requirements. Let us assemble customised cables for you which are high quality, long-lasting and highly functional! Cable assembling consists of many processes such as stripping, fastening, connecting, crimping, plugging, insulating and protecting. All of the departments work closely with one another in-house in an interdisciplinary manner in order to ensure all of the sub-processes of cable assembling are optimally integrated. 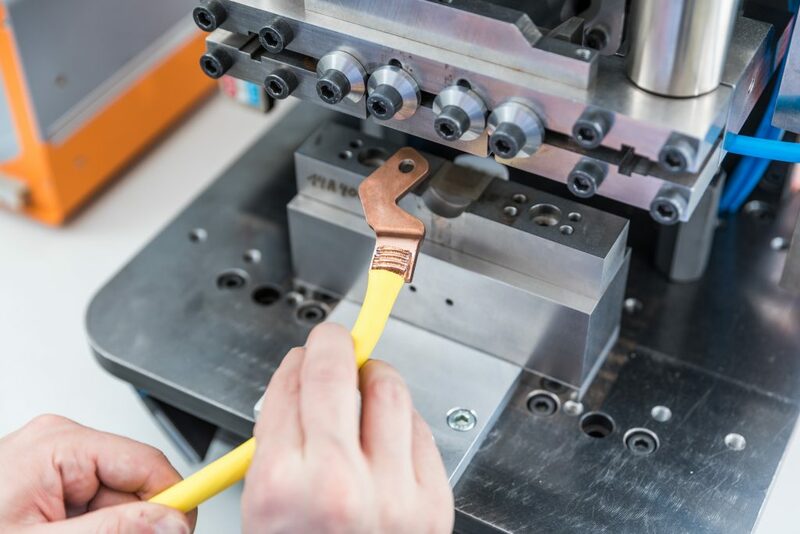 BÖWE-Elektrik, as a professional cable assembler, supports customers from a range of industries such as the automotive, aircraft construction, machine construction and military technology industries. We gain the trust for projects where huge demands are placed on cable systems with production of the highest level and by complying with strict quality regulations. We offer you assembled cables with customised lengths: Our modern processing machines can cut to individual lengths and strip any type of cable in the form of single wires of cross-section 0.035 mm² (AWG32) to 95 mm², control cables with and without braid, coaxial cables, ribbon, round ribbon and FFC cables, fibre-optic cables made of plastic, corrugated pipes, insulating and shrink tubes as well as mark and bundle cables. Tailored entirely to your needs! 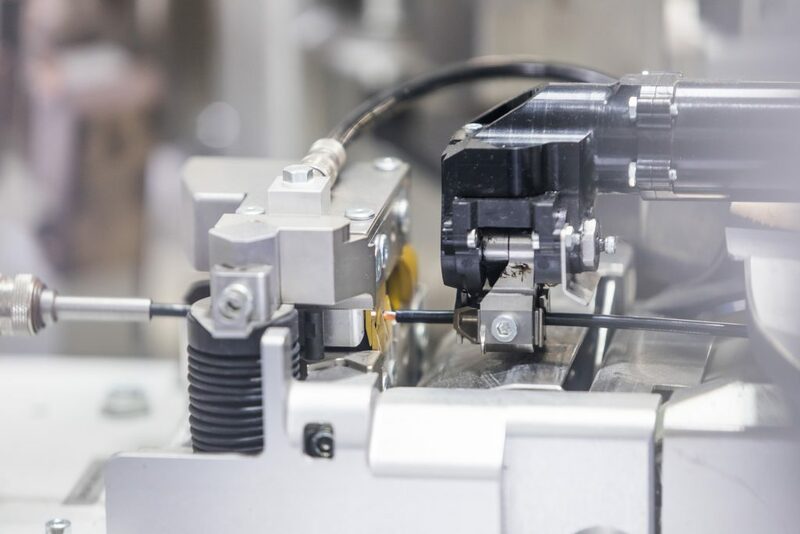 With over 700 quick-change tools, we crimp with high process reliability a wide range of contacts with and without single wire seal (crimp connections with seal) ranging from 0.05mm² (AWG30) to 95mm². The monitoring of processes is documented with crimp level, pull-off force, crimp force monitoring and micrographs. We also have solutions for various braid contacts, FFC, FPC, insulation displacement and splice processing technology. 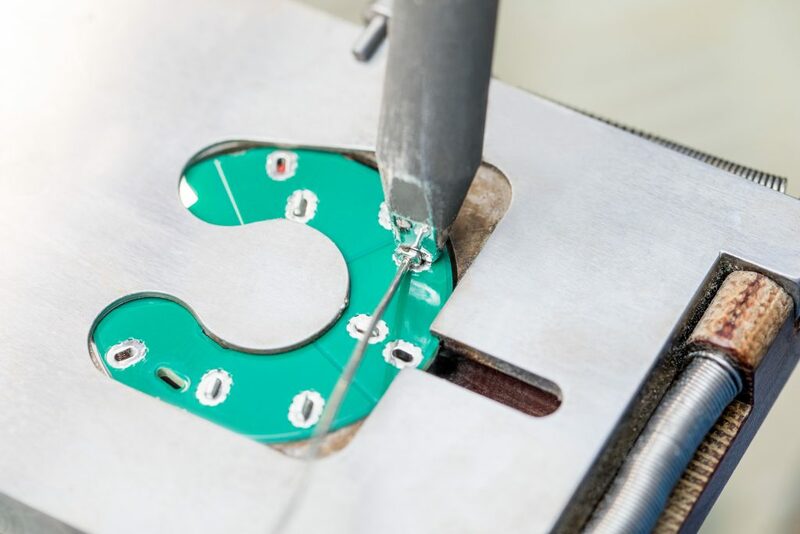 With controlled soldering stations or under protective gas, we solder with solder wave technology contacts and assembly parts to relevant standards and specifications. On our machines we can twist and tin-coat strands. Regular calibrations of soldering stations are among the quality-related measures taken to ensure soldering quality. 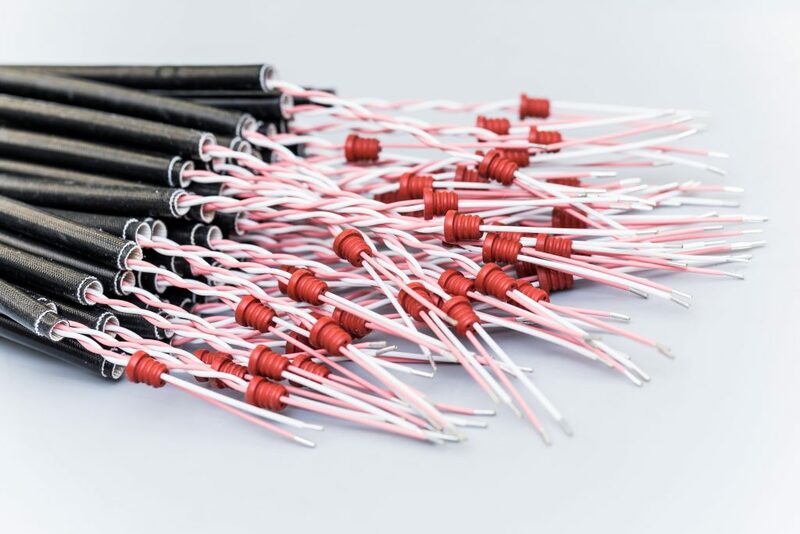 We supply all items in our product range in RoHS process-capable design – and upon request in lead-coated design. 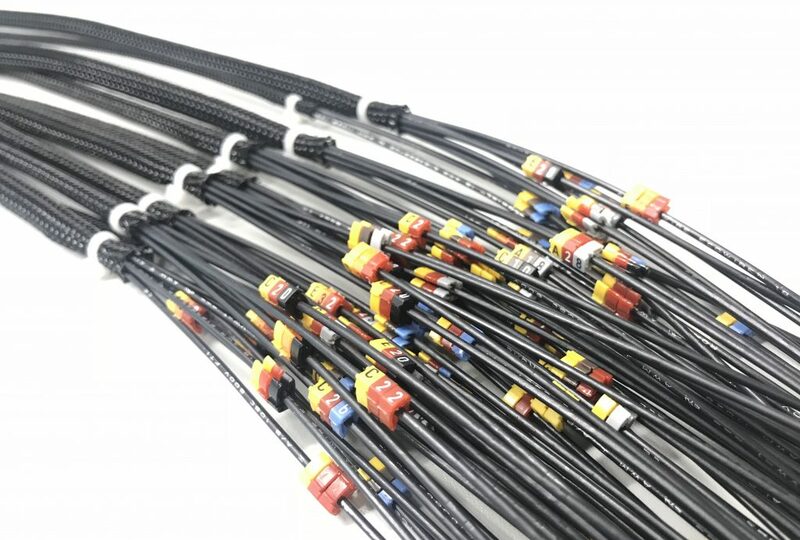 Customised single wires: On our semi and fully-automated machines we can twist single cables up to a length of 12m with the lay lengths according to your requirements. We bandage, bundle, insulate and mark cables. We meet your requirements precisely! We mark cables, housings, tubes, components and much more with all common marking processes. In recent years there has been a marked increase in and improvement in the quality of component marking. The requirements have become increasingly complex and diverse. We focus entirely on your needs or suggest suitable solutions for you. Whether a standard solution or customised cable assemblies: BÖWE-Elektrik develops cable systems that are tailored precisely to the respective needs of your project. Customer focus and communication are very important to us so that we can discuss your requirements relating to material and functionality in detail with you. Thanks to our in-house toolmaking, we can supply you with tools that have been developed in-house and are tailored 100% to your solution. Benefit from our know-how! We move with the times and face new challenges with our customers. We have been accompanied here by state-of-the-art technology, skilled workers and the passion for innovative solutions for almost 30 years now. Trust our expertise in the area of cable assembling and obtain advice without obligation! We will support you from the design stage to the finished cable solution.